As we will back to meet Ramadhan (holy month) soon! Well, maybe talking about My Favorite Hijab Fashion Bloggers for your fashion Inspiration isn’t too early right? Now, hijab fashion isn’t a new thing in Indonesia Fashion Industry, while 5 years ago many muslimah just wearing a simple and basic veil without any style. But now, hijab fashion boom are everywhere, everyone trying to be stylish wearing hijab, also do mix & match, and showing their #OOTD on blog & instgram. Thanks to hijab fashion blogger & celebgram! 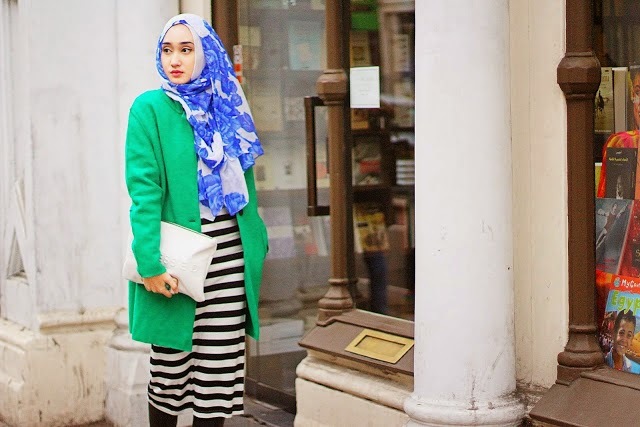 No doubt, Hana Tajima is one of the first hijab blogger who spread hijab fashion trend, and really inspiring many muslimah world wide, since she's decided to be a muslim when she was 17 years old. She's British - Japan blood, a designer and visual artist, also have professional background in fashion, and currently working with many designers and artist. Some of her work has also been featured in many blogs and journals, such as ELLE Italia, ELLE Canada & VOGUE! 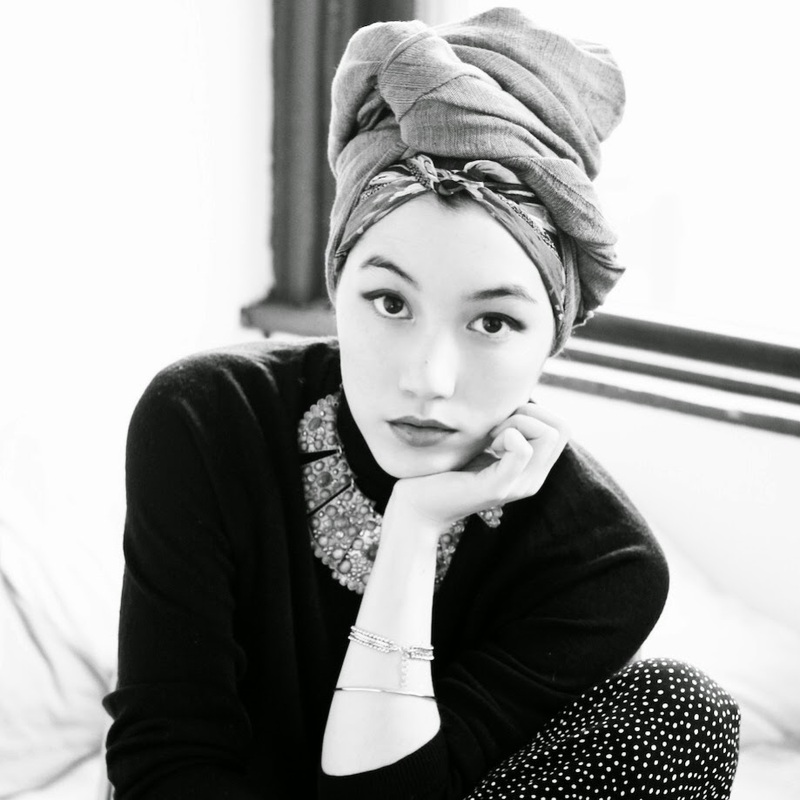 love her vintage, simple, casual, monochrome style in her mysterious look, she also usually wearing layered, simple and turban hijab style, make her really chic. I bet every Indonesian people already know her, yes, Dian Pelangi! while 4 - 5 years back then not everyone known her, except they really follow her blog. Been following her blog since my first year uni life (almost 4 years) when her blog name still The Merchant Daughter. She's known for Indonesian hijab fashion desiner in her clothing line Dian Pelangi and been featured in International publications such as Islamic Fashion by Pepin Press, Netherlands, also participated in New York Fashion Week 2015. For her clothing line identity likely lies to Indonesia traditional outfit using traditional technique such as batik, tie dye, woven and others, with various colors of rainbow / colorful, while her personal style is glamour, bold and bright. first know her as initiator the first Islamic Fashion Week in my campus, UIN Fashion Fair 2012, then i found out she had fashion blog, and still following her blog until she changed her site from blogspot to website. 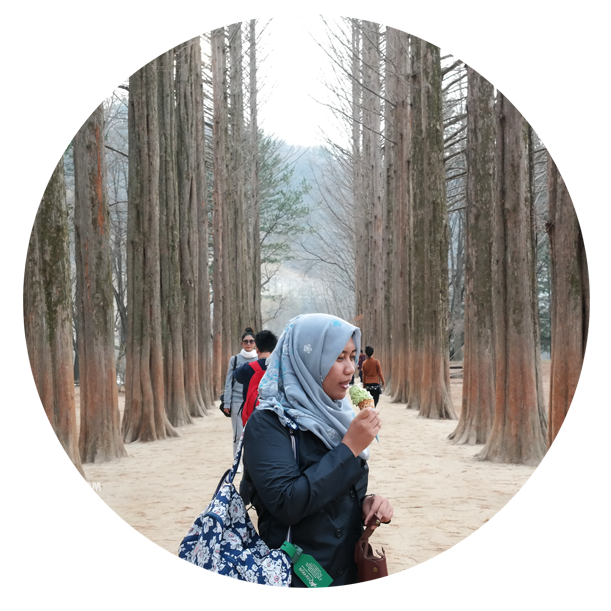 Her passion in fashion, has deliver her to get offered as fashion stylish at Hijabella Magazine and fashion editor. She's also active in youth movement, promoting several civic engagement activities. She have had an unique style, cheerful and bright, but usually she's wearing bright pop color and polka / pattern outfit. I also love her hijab style, because she can hide her chubby cheeks with her hijab style.